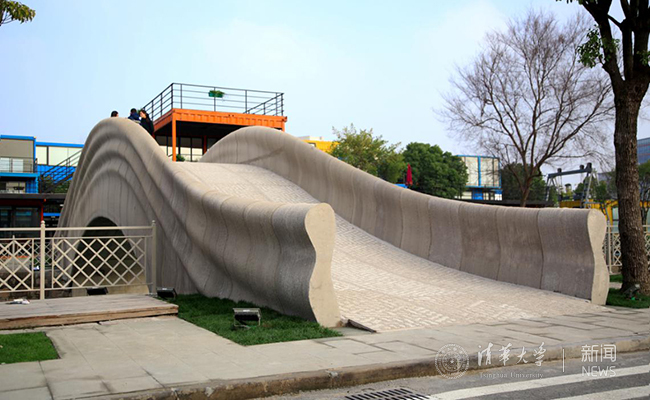 Last January, professor Xu Weiguo’s team, based at Shanghai’s Tsinghua Univeristy digital architecture research centre, created the world’s longest concrete bridge with 3D printing. 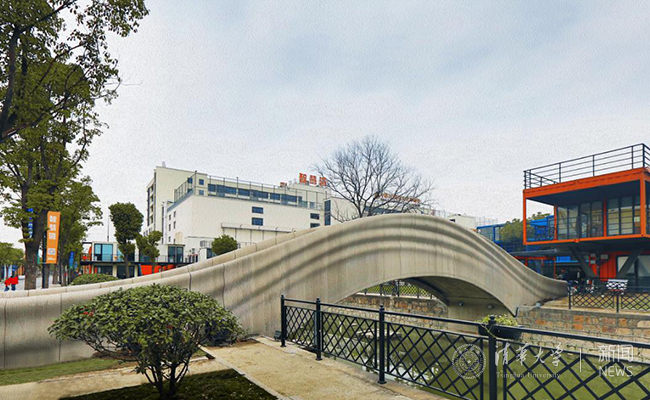 With a length of 26,3 meters and width of 3,6 meters, the bridge crosses one of the Baoshan district’s canals. Its design has been conceived by a university team, whilst its construction has been led by Shanghai’s Wisdome Bay company. The structure gets inspiration from the ancient Anji Bridge of Zhaozhou (China) and the Chinese institutions claim that this new bridge represents the first steps towards a new technology that will be used for worldwide engineering projects on a regular basis. The bridge is composed of a single arch to support the weight, every parapet is spaced 14,4 metres far from the other. Before starting the printing process, the team created a 1:4 scale model to test the weight stress limit. The bridge’s capacity to withstand a large volume of people along the whole pedestrian area has been confirmed. 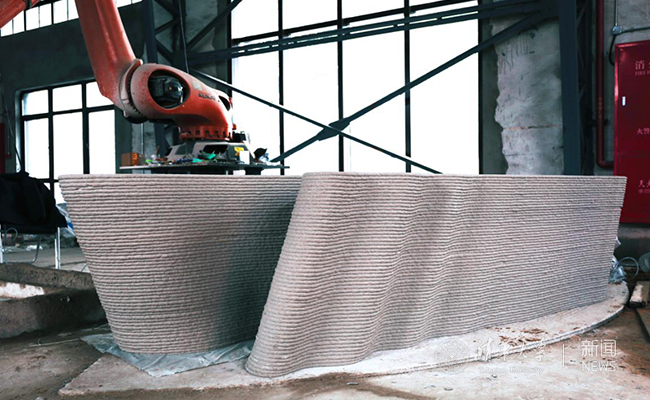 The bridge has been built using 176 concrete units produced by a 3D printing system made of two robotic arms, developed by Professor Wu Weiguo’s team in 450 hours of work. The team claims that the cost of this bridge amounts to two thirds of the cost of other bridges of the same size; the building of the main body, in fact, didn’t require scaffold or any other kind of supports, making it possible to save a great deal of money. The bridge is also equipped with a monitoring system that records its deformation during over time. This system will help the development of new concrete materials and mechanical structures created by 3D printing methods.